I am amazed that I can see at all. The plank in my eye is so large. Yet somehow I can easily point out another’s critical spirit, while being utterly unaware that in pointing it out, I am committing the same error. It must be galling. Sometimes I go further and add motives to their actions. She is critical because she wants to show she is superior to me. He doesn’t cut his lawn as often as I do because he is lazy. Judging others in this manner is at the heart of cynicism. Other translations compare the mote;very small particle;speck in your brother’s eye to the beam, log, plank in your own eye. It is so easy to see the faults of others so that we can pick them apart, even though we have to make a great deal of effort to see out of our own eyes which are so clouded by our own glaring faults. The plank in our own eye is painful. It is poison to our own souls. We need to repent and turn away from the sin of cynicism. Lord help me to remove the plank from my own eyes in order to see clearly the good in others. Help me to replace cynicism with love, forbearance, patience, forgiveness. This award is to those in my circle of writers who encourage others in their journey in this life. .4. 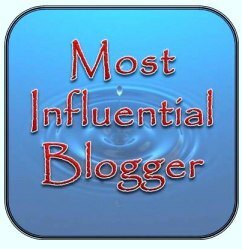 Nominate ( no limit of nominations ) other bloggers for this award and link back to them. 2. If you could visit one nation you have never visited before, what nation would that be? I would like to go to England and Ireland…to see the castles, the history. 3. Have you ever taken a long distance train trip? No, but I would like to take a color tour up into Canada, north of the Great Lakes. 4. What is something you would collectively change about humanity? Cynicism and distrust. 5. What is your favorite song? A hymn – Great is Thy Faithfulness. 7. If you could choose one symbol to represent you, what would that symbol be and why? A seed. Because that represents hope for the future. Hope in the face of Parkinson’s disease. In June of 2008 I went to a neurologist because of a tremor in my left hand which had lasted for at least four months. At first I tried to deny I had a problem, hoping it would go away. It didn’t. After a physical examination and an MRI the doctor told me I had Parkinson’s disease. The neurologist gave me a book to read that sounded like a horror story and I was the main character. I learned there are five stages to the disease and I was in the first stage. I found three facts to be disturbing. Parkinson’s is a chronic disease, there is no cure. It is a progressive disease; if I live long enough I will achieve level five. Finally, it becomes a primary disease because it affects every area of life.